Review : Vatika Black Seed Hair Mask Treatment Cream! I been using Vatika’s hair masks for years now. One of my favs is their mask with henna, egg yolk and other amazing ingredients in them. Anyways, when I saw a Black Seed hair mask, I knew I had to try it out. Black seed aka Nigella Sativa is the seed of blessing, a ‘cure all’, a miracle. In Arabic, it’s called Habbatul Barakah. 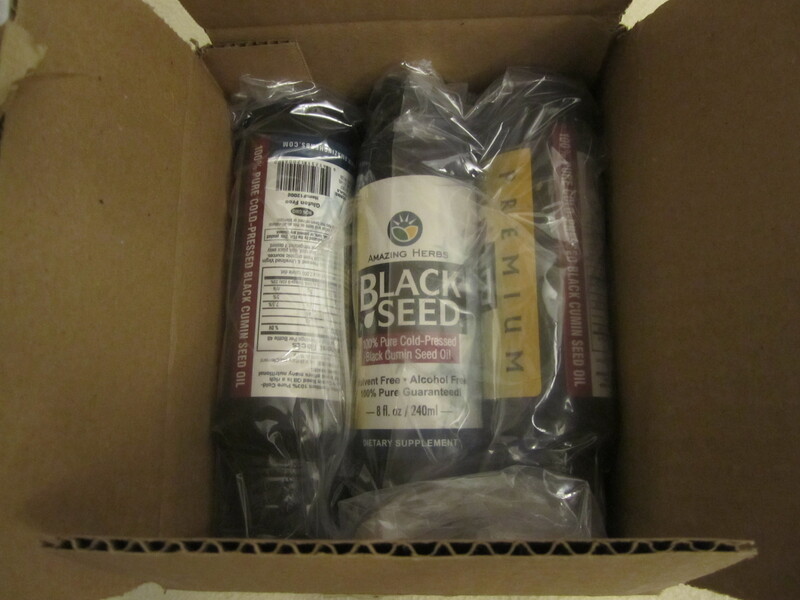 I had done an entire post on Black Seed oil before. Read it to get more detailed information. The mask comes in a black little tub. It’s sturdy and contains 500gms. The mask itself has a bottle green color. It’s thick yet very easy to apply to the hair. It can be applied after shampooing or normal wash. This mask should be applied from root to tip and be left on for 10 – 15 mins. I personally keep it on for 20 mins. After washing it off and drying off with a towel, my hair feels soft and healthy and also looks shinier. It really nourishes the hair. You can even keep your hair wrapped in a hot towel when the mask is on. However, the mask works well even without the hot towel application. Black seed has a strong, pungent smell. That’s my experience from using black seed oil. But this mask has a lovely, pleasant smell that lingers on your hair. I highly recommend you try this mask out for deep conditioning your hair. I love it! Price : AED 25 for a tub containing 500 gms. I got it from Lulu Center. I am not sure if this was the introductory price but definitely check it out. iHerb haul #3 – the ‘Cure all’ oil! Wow!!. How amazing is that?. So many years ago itself, it was considered to be so beneficial and a cure all!. There are many seeds that go by the name of black seed but the one that is being discussed here today, the one which has all the great properties, is the black cumin seed – particularly Nigella Sativa. In Arabic cultures, black cumin is known as Habbatul barakah, meaning the “seed of blessing.” You can even find cheap black cumin seed oil in local supermarkets here but let me tell you, that’s not the original stuff!. Research well before you buy! It is great for your skin, your health, your hair, for weight loss and is said to even cure diabetes or cancer in the first stages!. I decided to give it a try and searched around for it. I found a local dealer here in UAE who was into selling this oil from the brand Sweet Sunnah. I asked the price for three bottles (each 16oz/approx 473ml) and he quoted me AED 540 (AED180 per bottle) plus AED10 delivery charge to my home. That’s AED550 for roughly 1.5 litres!. I searched online and found that a 16oz bottle of Sweet Sunnah is priced only approx AED91!. So the dealer here was charging me double for each bottle!. I definitely didn’t want to buy from him!. I then searched on Amazon and found really great prices. I was fixated on the brand Sweet Sunnah but then I found another brand called Amazing Herbs. It was priced $13.96 (AED51.28) for a 4oz (240ml) bottle. So 6 such bottles (total of approx 1.5 litres) will cost me $83.76 (AED307.66) plus shipping. I was excited!. But that’s when I found out something else. Amazon doesn’t ship that product to UAE :(. That’s one of the worst things about Amazon. Not everything you see there can be shipped to UAE. Need help with ordering on Amazon and knowing how to understand what products are OK to be shipped to UAE?. Click here! That’s when I thought.. “Wait a minute!. Everything I see on iHerb can be shipped to UAE and they are all about healthy products. So definitely the black seed oil should be listed there!”. I immediately checked there and yes! I found the exact same product there :). Click here to check out the product. That’s how it was packed into a cardboard box. Very neatly packed! 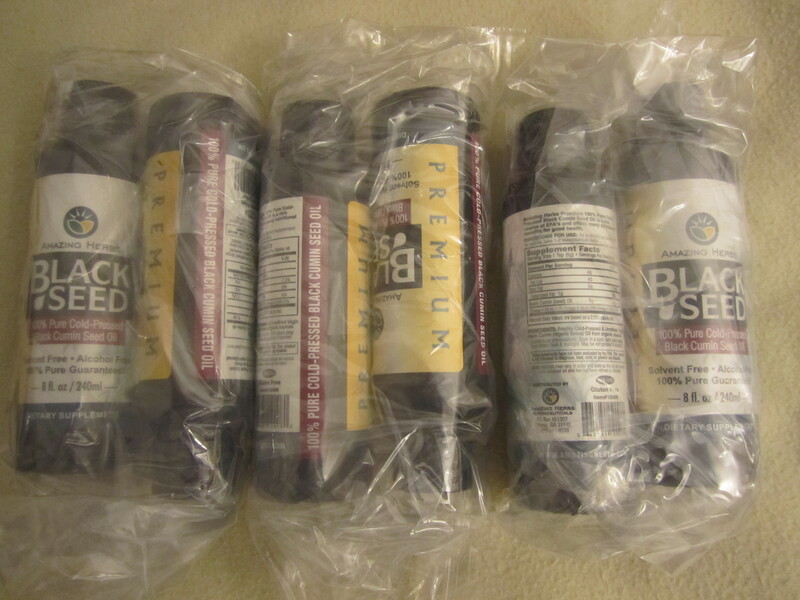 They carefully packed two bottles each in a ziplock bag. I bought 6 bottles by the way, so that I can give two to my father, two to my brother and keep two for myself!. My father has been a diabetic patient for a long time. So I thought I will let him try it out. He said for a while his sugar levels seemed under control. He was also taking the diabetic herbal tea I got for him from iHerb itself, at that time. Of late, he hasn’t been taking it regularly. So I can’t really say how his sugar levels are right now. I even read somewhere that the black seed oil is a natural alternative for the medicine named Metformin, which diabetic patients take. But, don’t quote me on that as obviously I am not a doctor! I bought for my brother so that he can maintain a healthy body. I bought for myself for the same reason too. Also, I read that it helps regularize periods and I totally agree!. I had a hormonal imbalance which caused irregular periods. It’s regularized now!. OMG.. This is TMI but hey got to discuss it all in an honest review yeah?. I lost two kilos too while taking this. I been taking it since April this year. It really works!. I still haven’t tried it on my hair though. I usually take 1 tbsp of it right in the morning on empty stomach. It is a golden yellow colored. It has a very strong, pungent flavor and there is an after taste that can stay on for a long time. You can take it in capsule form too if you cannot stand the thought of having oil directly. However, the unrefined oil is said to be at least 2.5 times more powerful than having them in capsule form. When you have 1 tbsp honey with this oil, it enhances the healing properties of the oil. What I love the most about Amazing Herbs is that it says right on the bottle that it contains only 100% freshly cold-pressed and unrefined virgin black cumin (Nigella Sativa) oil from organic sources!. No preservatives, solvent or alcohol in it. I highly recommend this brand. 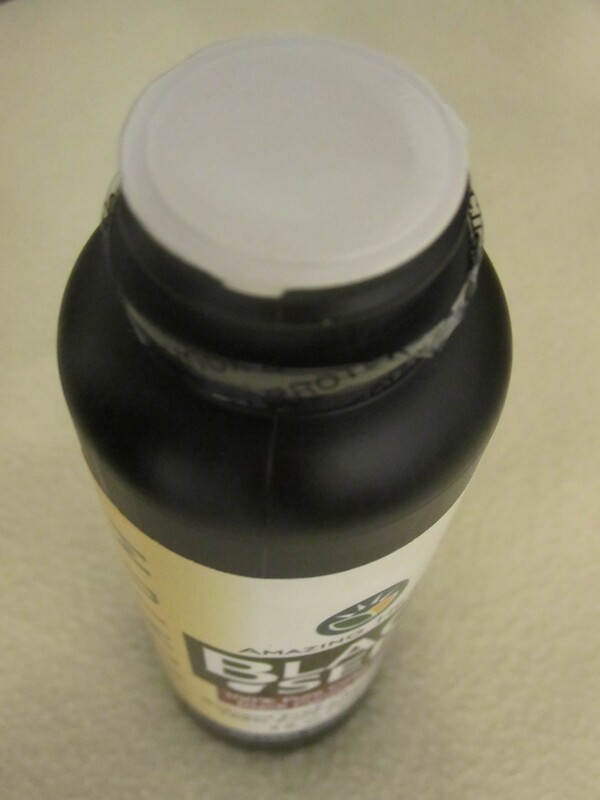 When you open the black cap, it’s sealed inside too, so you don’t have to worry about any spilling at all during transportation!. Let me make it clear to you that it’s not just Muslims who use this oil for it’s benefits!. Everyone from all religions and parts of this world uses it, as is evident by all the customer reviews on iHerb for this product! I will tell you this, if you have some trouble like say asthma, cold and flu, joint pains or anything at all like that that bothers you on a regular basis, search on Google as to how black cumin seed oil can heal that and you will find a remedy!. Even if you are the most healthiest person and has no illness at all, you can still take this to maintain that level of health. The shipping cost was $11.52 (AED 42.31) as I said before. I chose the DHL option and it was here in UAE at my doorstep, from US in less than 2 days!!. It’s amazing how fast they ship!. That’s how fast iHerb ships!. I highly suggest you try it out and when you use my code SCZ695 at checkout you can get upto $10 off on your very first order! iHerb Haul #10 - Skincare products & more!